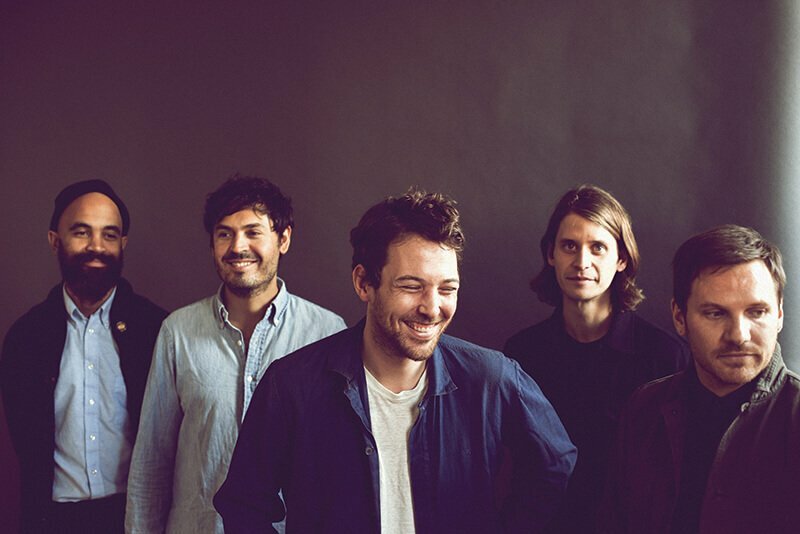 The Seattle-bred Fleet Foxes captured the ears of listeners in 2008 with the double attack of “Mykonos” off the Sun Giant EP and the in-the-round, rustic harmonies of “White Winter Hymnal” culled from their debut self-titled LP (both releases were put out by Sub Pop and produced by Phil Ek). After a few years of touring heavily, playing festivals such as All Tomorrow’s Parties and Neil Young’s Bridge School Benefit and making television appearances on shows such as Saturday Night Live, the band’s second album, Helplessness Blues, received universal critical acclaim, peaked at number four on the Billboard charts and garnered the group a Grammy nomination for Best Folk Album. The band soon went on hiatus after drummer Josh Tillman left to form Father John Misty and singer/songwriter Robin Pecknold moved to New York to attend Columbia University. After six long years of receiving occasional clues via Pecknold’s Instagram account, fans finally received new Fleet Foxes music with the release of the song, “Third of May/Ōdaigahara” this past March. Soon after, the group announced that their third record, Crack-Up, would be released on June 16, 2017 on Nonesuch Records. Performer Magazine: Around the time the “indie folk phenomenon” of the early 2010s was exploding, the band more or less disappeared from the spotlight. Do you ever have any regrets about taking a break during that time? Robin Pecknold: No. I didn’t have any regrets. After that whole period, there was a bit of a cultural folk fatigue. Instead of participating and going down with that ship, I think we decided just to do other things for a while and concentrate on making a record we were proud of, regardless of whatever cultural context was happening. Performer Magazine: You attended Columbia University during this off period. What made you choose that school specifically and how do you think it shaped and challenged you as an artist, thinker and overall human? RP: They have this really great program for older students that was set up more for those on the GI Bill. Of all the schools that I could have applied to as a 26-year-old, it’s the one that had the best infrastructure for something like that. They also had a lot of amazing professors, and I’ve always wanted to live in New York, but never had a good reason to live there. I took a few music theory classes, which I had never studied before, and that helped communicating with session players and with my own writing. I also did a lot of reading and worked to try and broaden the scope of the music. PM: What were some of your favorite classes? RP: I think my favorite was a Walt Whitman class and a Jackson Pollock New York School painter’s class. Whitman has the most expansive soul and I loved it. PM: You also worked on a music for a theatre production a few years ago. What was that like? RP: That was really cool. It was for my cousin, who’s a playwright. He lives in New York, and we would get coffee sometimes. It was cool to get into different musical mindsets. I would work on that and then I also work with my brother, who directs short films. Those experiences put me into the idea of music accompanying an individual or evoking an individual, so I definitely brought that into the new record. I have all of these visual associations with each song and each section of the music, either trying to paint a visual picture with sound or a movie without footage. PM: What were some of the songs or compositions that helped kick start the process for the new album? RP: The first song I wrote for the new album was a song called “I Should See Memphis.” I started writing it in 2013 when I was trying to make a new album. The stars weren’t quite realigned yet, but I did write that song. But I didn’t really see a place for it until pretty late into making the record. Most of the songs were written while I was in school, so I’d come home from school and work on music for a couple of hours, but they all started out as just little sections of songs. They weren’t complete songs, but they were all happening simultaneously. PM: The previous Fleet Foxes album, Helplessness Blues, was released back in 2011 before Spotify and Apple Music took over our music listening habits. What is like now releasing a new record into the streaming culture after being away from it for so long? RP: It’s a different world now, very playlist-based. I think it’s cool. I think labels are a little less nervous about Spotify now because there are so many people listening that it’s evening out. I think artists should be compensated for the work they do and the money they spend on recording, but I also think that music should be accessible. The more accessible music is, the better music is made and the richer everyone’s musical life can be. If there’s now a legal context where this can happen, it feels like a win-win to me. RP: It was a Fitzgerald essay that I really like that I read a few years before I went back to school. I thought the word “crack-up” was an evocative phrase and it gives you somewhere to go. The first song on the record [“I Am All That I Need/Arroyo Seco/Thumbprint Scar”] is impressionistic and “cracked” like it’s been disassembled and reassembled incorrectly. Then with the last song [“Crack-Up”], everything is brought back together. It also didn’t feel like Fleet Foxes, so I liked that. CU is also the initials of Columbia, so that was the only reference to that experience on the album. PM: Did that album title represent your or the band’s state of mind during the process of writing and recording? RP: Totally. When I read the essay back in 2013, that was part of the resonance, but I don’t feel that way anymore. It’s more like a document of a time, but it’s not present. PM: Adam Duritz of Counting Crows always refers to his band’s albums as photographs or snapshots of the time in which they were recorded. Then once the album comes out, he’s moved out of that state of mind. RP: It’s funny. You write songs from a certain state whether it’s joy or sorrow or whatever, but within the making of the album, you become your own editor. You’re brought in to make sense of all the stuff you’ve written. You’re trying to make it a little more clear-headed in that phase. PM: What was the recording process like this time around? RP: The recording process was great. We went to Sear Sound in New York City for basic tracking over a few days’ time. Then we went to upstate New York to record at friend’s house. Then, we went to Seattle to record with the whole band for about three weeks. After Seattle, we back to Sear Sound in New York to record horns and strings. To finish the album, we went to Electric Lady Studio for about two months. It was just me and my band mate Skyler [Skjelset]. We were basically just sequestered in a small studio there and went a little crazy. PM: You’ve used Instagram to help maintain the band’s mystique because you’ll use the platform to tease images of possible recording sessions. 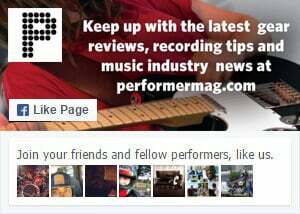 What do you think are some of the pros and cons of social media for musicians? RP: It’s a cool form for communication. You have this opportunity to share things you’re working on or share things you think are cool like paintings or things you see on the street. I use Instagram because it’s visual. I’m not big on Twitter or Facebook. The benefit of things like Instagram is being able to build a page to expose people to things. You can also talk to people, which can be fun sometimes. The cons are the somewhat addictive nature of [social media] and at times it can feel a bit too manicured. Right now, I see it more as something fun and a good way to let people know what you’re doing. PM: A few years ago, you had talked about the possibility of a solo album. Is that still going to happen at some point? RP: I think the band is the main vessel for ideas and for growth. I have a collection of songs now that I could record in a couple of days and put out pretty low-key. I wouldn’t attempt to put out an album as a way to build a “solo career.’. I like how the band is right now. PM: You moved to Nonesuch for this latest release. Why the change from Sub Pop? RP: I was living in New York, and we weren’t on a label for a really long time. Once the album was almost done, we were trying to figure out what to do with it. We checked back in with Sub Pop, but no one that we used to work with was really with the label anymore. We just didn’t have as much of a connection anymore because it had been such a long time. We were in New York and Nonesuch is such a classic New York label. The music they release was influential to the album because it’s an amalgamation of Americana and jazz and new classical and international music. It’s just this very utopian label, and it’s not a punk label or anything like that. It just felt like the album would fit there gracefully. BUY NOW at Nonesuch Records. Performer Magazine interviews Robin Pecknold about the new Fleet Doxes album Crack-Up, out June 16th 2017 on Nonesuch Records.